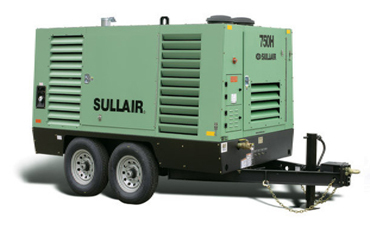 Nearly all mobile compressors are diesel engine powered oil-injected screw compressors. 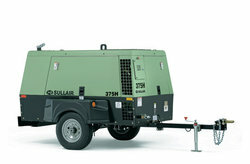 Very small as well as very large mobile compressors are sometimes offered with electric motors. Oil-free mobile compressors are produced only by the world’s leading manufacturers, for service work in the process industry, utilities and offshore industry. and a low total weight. Operation in climates with medium to high humidity, in particular when the load/unload profile contains load cycles at high pressure or long periods of unload operation, will cause some of the atmosphere water content to condense inside the compressor oil circuit. This has a negative impact on the lubricated compressor components as well as on the oil itself. 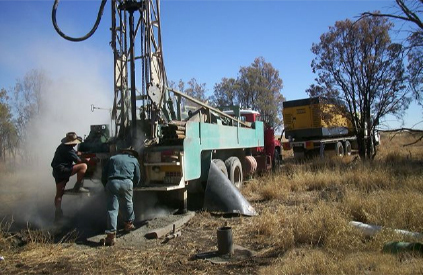 Having just 1% of water in the oil will reduce the useful life of the bearings by 40%. 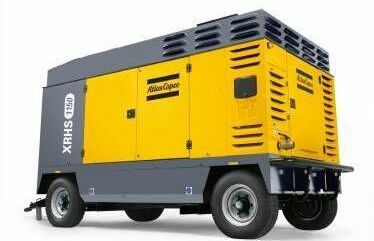 The most modern mobile compressors can be equipped with an electronic oil temperature control system to protect the compressor’s operating life.